‘Text to Voice’ project is basically a web application like a ‘Text to Speech’ function using people’s voices. When users can write any word and generate each word button. Then they can play it using already existing the word sound file and read one by one. Or they can record again or make new sound files by themselves. 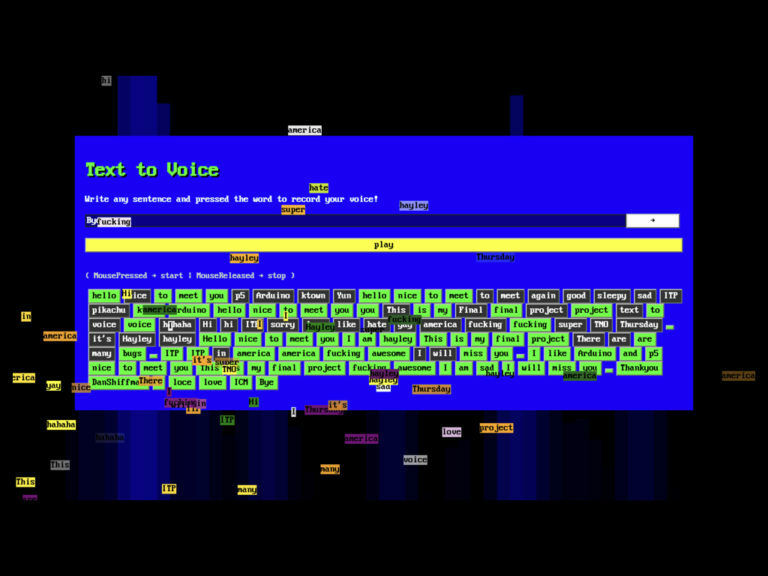 Text To Voice – v1 from Hayeon Hwang on Vimeo. Personally, I really like this project because I learned a lot. I am quite not comfortable with array stuff, but I had to use it seriously a lot. It was great. I really like people were reading it with their emotion and humor. In terms of recorded sound files, even though different pitches and voice tone made it not naturally. 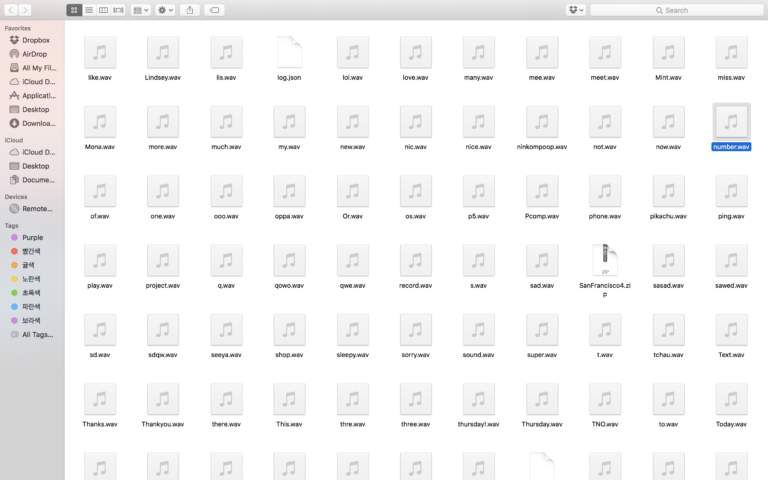 But these sound files had full of fun and memory and characters and variety of tone, pitch, and intonation. I love it and I really enjoyed them a lot. Obviously, there are some technical problems using the local server. Because of web browser, there is no way to access to my local folder. If I made this in real server, it is possible to access it and get data in real time. Because of this reason, I needed to make JSON file to look at the saved files in the folder and used one of the Chrome extension to overwrite the name of files. And I had to change my download path for the save these files.